The best groomsmen gift ideas are ones that feel both thoughtful and personal. You want to show your favorite guys you appreciate them, and you don't want to weigh down their wedding travels with stuff they have to lug home just to hide at the bottom of a closet somewhere. That's why we think that groomsman gifts that can be consumed over time or used again and again go over best. Think a coffee club subscription or a beautiful watch. From shaving kits with classic appeal to personalized tie clips, we found the 10 best gift ideas to give your favorite guys on your big day. Brides often gift their 'maids with a piece of jewelry they can all wear during the wedding ceremony, so why not follow a similar theme for your groomsmen? A cool and affordable watch makes a great gift, and will add a low-key element of symmetry when your guys are out on the town for the bachelor party. 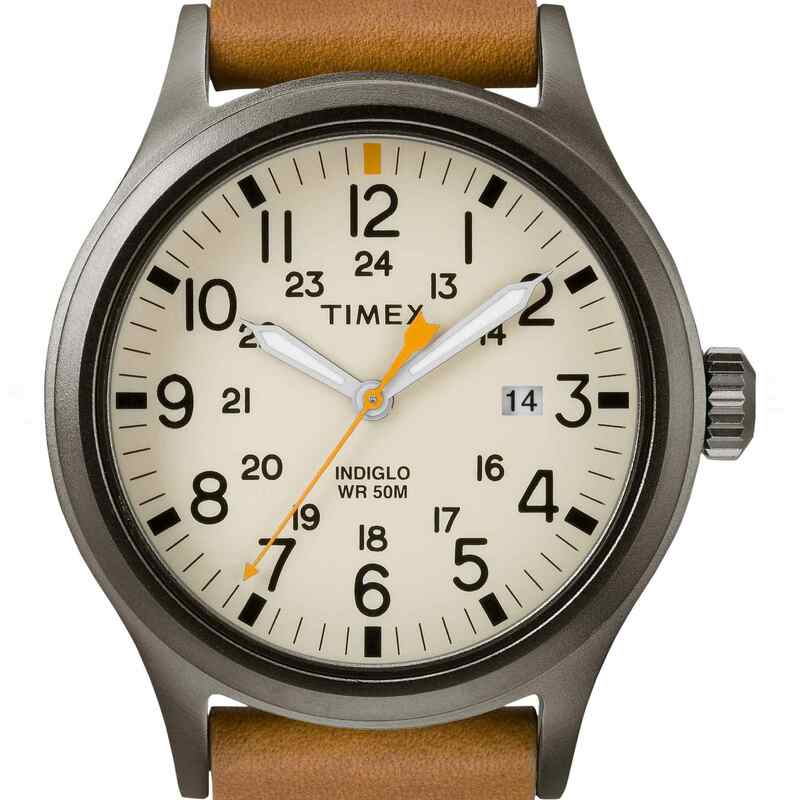 Timex watches offer just the right balance of practicality and simple design. The build is high-quality and they always look good. Yes, cufflinks are a classic (and classy) groomsman gift. But the truth is, most men rarely wear shirts with French cuffs unless they're in a full tuxedo. A tie clip, however, can be worn anytime he wears a suit! For this reason, we think a personalized clip for each of your groomsmen makes a more thoughtful and practical gift. The thing about a wireless bluetooth speaker is that it will never make a bad gift. They're always useful, not terribly expensive and even if you already own one, having another is always better! We love these clever NFL helmet speakers as gifts because you can select any team in the league, which means each one of your groomsmen can get a unique but related gift. It's true, you probably do not need a pocket knife most days of the week. But if you're hosting a rather rustic wedding or a getaway in the mountains, a stylish, elegant engraved knife makes a thoughtful and thematic gift idea. Even if they just use it to open letters or slice cheese, they'll think of you every time they do! For destination weddings, there's no better gift than something that eases or upgrades the travel. Give your groomsmen a cool, practical dopp kit and fill each one with TSA-approved products they might need, like face wash, shampoo, shaving cream and hair pomade. Poker night, anyone? It might seem a bit old fashioned, but we think that card games are making a comeback, so gifting your groomsmen with their own deck of personalized cards is sophisticated and thoughtful. Plus, they'll probably actually get some use out of them! Rather than adorning them with your wedding date and location, we'd go with a classic monogram for each guy, which feels more personal. Want to give your groomsmen a gift that they'll appreciate long after your wedding (and honeymoon!) have come and gone? Consider a subscription to something they love, delivered to their front door each month. Coffee is an easy crowd pleaser, with new varieties from around the world to try and compare. Other ideas include a 'sausage of the month,' wine, or a cocktail club. You never know how much you'll like having a giant, sturdy hot/cold drinking vessel until you have one. Commuting with a coffee or camping with an ice cold IPA, there's no end to how handy these cups are in a variety of situations. We like that Yeti has it's own customization shop, where you can choose between tumblers, cups and coolers and add a personalized design. Envisioning a clean-cut crew behind you on your big day? Give your groomsmen the gift of a perfect, comfortable shave. Find a stylish gift box that comes complete with extra razor blades and shave cream, guaranteeing a smooth, clean shave for every face. A practical gift if ever there was one, your guys will continue to use it (and think of you!) long after the big day. Practical and cool, a stamped leather luggage tag makes an awesome and personal gift idea for your groomsmen. Just make sure you get their address right!